he summer season brings plenty for people to be happy about from hot, sunny days to longer daylight hours and plenty of opportunities to enjoy being outdoors, but the heat can be dangerous for seniors as their bodies don't adjust well to changing temperatures. 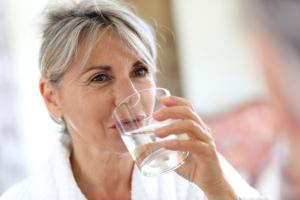 Older adults are more susceptible to heat stroke and can become easily dehydrated, especially when they're sweating. Check air conditioning: If patients live somewhere without central air conditioning, you can help them install window units, make sure the filters are new and ensure they know how to use them. Some units have programmable settings, so you can set the machine to automatically turn on and off at specific times. If the older adult has central air conditioning, double check that it's working correctly and that the filters are clean. Develop a back-up plan: In the event that the power goes out or something causes the air conditioning to stop working on particularly hot days, it's important to have a plan in place for the patient's safety. This can include storing water bottles, battery-operated fans and extra batteries, keeping ice packs or cold washcloths in the freezer and sunscreen in case they need to go outside.